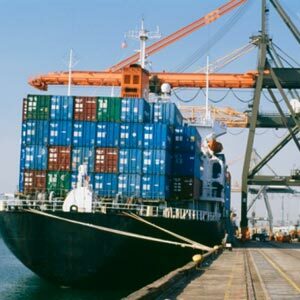 Recently, Chennai port trust has come up with the job notification for the candidates that who all are eligible to apply. The candidates who all are really interested and eligible in applying for the post can visit the official website of the organization. To apply for this post, the candidates should have to complete the offline registration process. The candidates are requested to visit the official site and know the complete details regarding the post before getting involved into it. Before the last date, the candidates must complete the registration process. As per the sources, the department has issued the notification regarding the post chief engineer. For your information, the vacancy has been allotted for the eligible candidate. To apply for the post, the candidates must have the matching eligibility criteria. However, the post is allotted for the one vacancy. So, the applicants who all are having the criteria allotted by the department can apply for the post on or before the last date ends. The candidates who all are completed their civil engineering from recognized institute or university should also have seventeen years of experience in executive cadre in construction/maintenance/planning. For more details, you can also visit the official website to know about the education qualification. When it comes to apply for the post, the candidates must not exceed up to 45 years of age. Also, the upper age limit is applicable for the candidates as per the government rules. For your information, the candidates will be selected mainly depends on the interview. The candidates who all are interested in applying for the post can visit the official web portal as per the instruction. All you just need to follow the simple steps given below to complete the registration process. 2. By following the site, you can search for the application form to download through notification. 3. Now, take a print out copy of application form and fill all the details as per the instruction. 4. Attach the hard copies along with the application form if any requires. 5. Once the above process is completed, you can send it to the allotted mailing address.